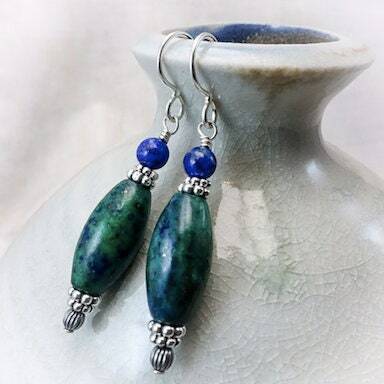 Gaia Earrings featuring Lapis and Azurite with sterling silver accents. 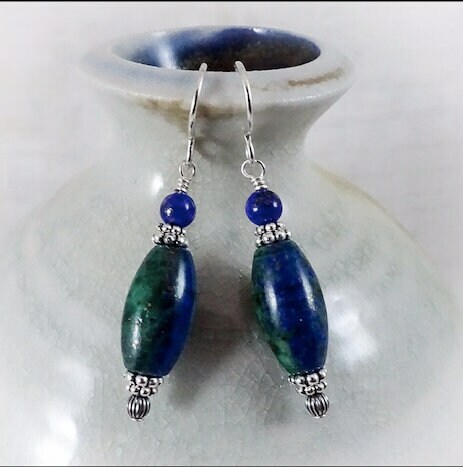 Lapis enhances intellectual ability and allows you to put forth the best version of you, while azurite opens your inner eye to new possibilities. 1.25 inches in length and priced at $28.